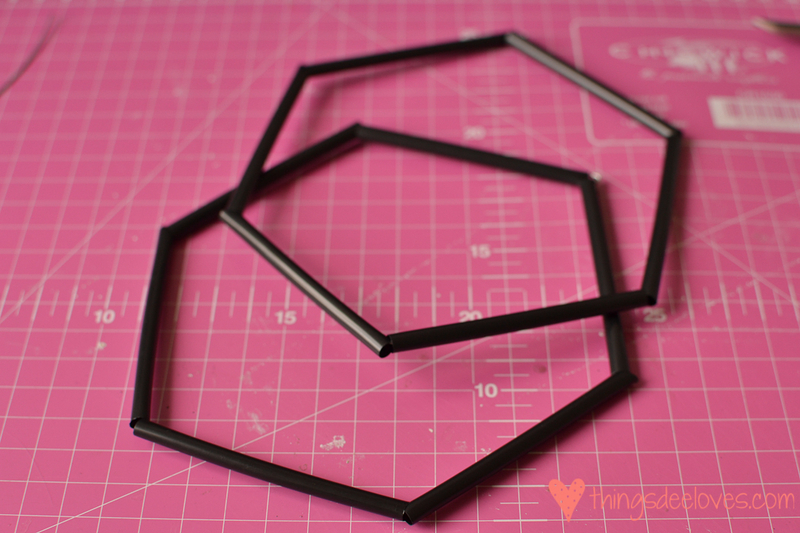 Yesterday I shared a tutorial on how to make some beautiful geometric diamonds from straws. 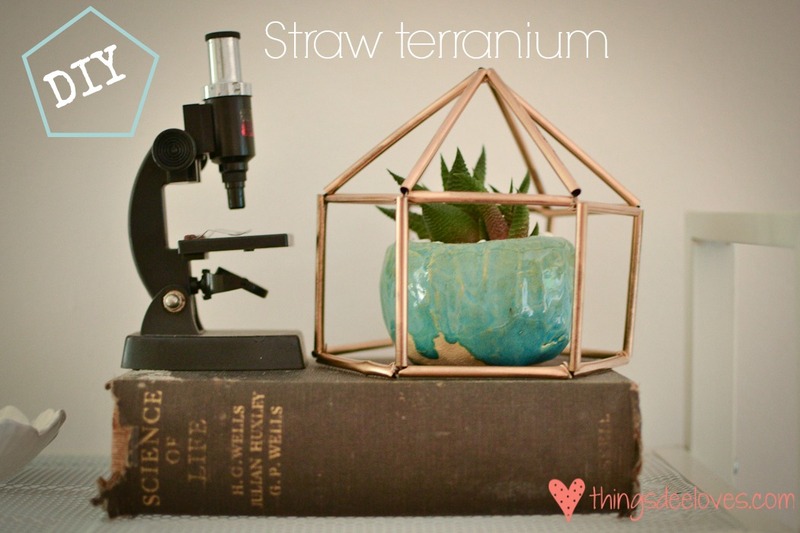 Today I’ll be showing you how to make this lovely terranium! You’ll basically need the some items as the diamond project, but the measurements and construction differs slightly. First up, use 12 of your 7cm straws to make two hexagons as described here. 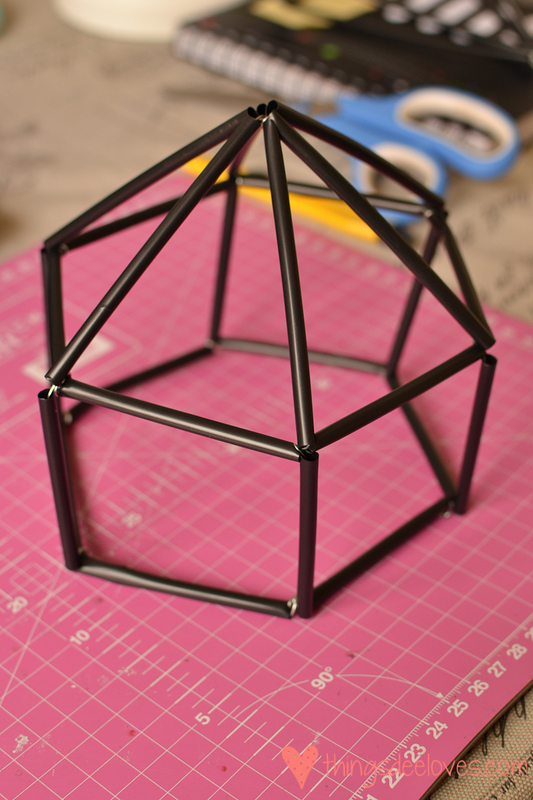 Next, cut a piece of wire to roughly 40cm. 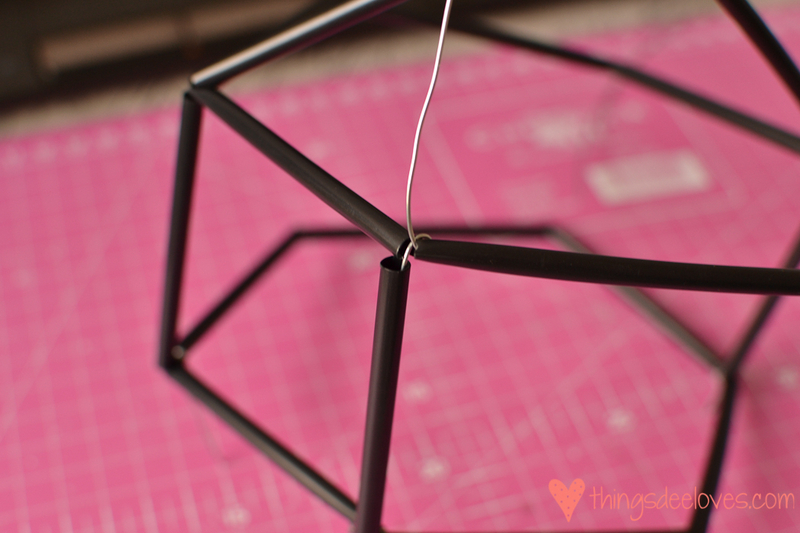 Now, wrap the end of the wire around one of the gaps between the straws of one of the hexagons, thread on a 7cm piece of straw, and wrap the wire around a gap in the other hexagon. This now forms one of the sides of the terranium. Thread on two 9cm pieces, bend the wire over to wrap around the gap in the opposite side of the hexagon. This will form the “roof” of the terranium. Finally, thread on another 7cm straw and wrap around the bottom hexagon to complete the other side. Complete this process twice more, to obtain the six sides of the terranium, and you’re done! 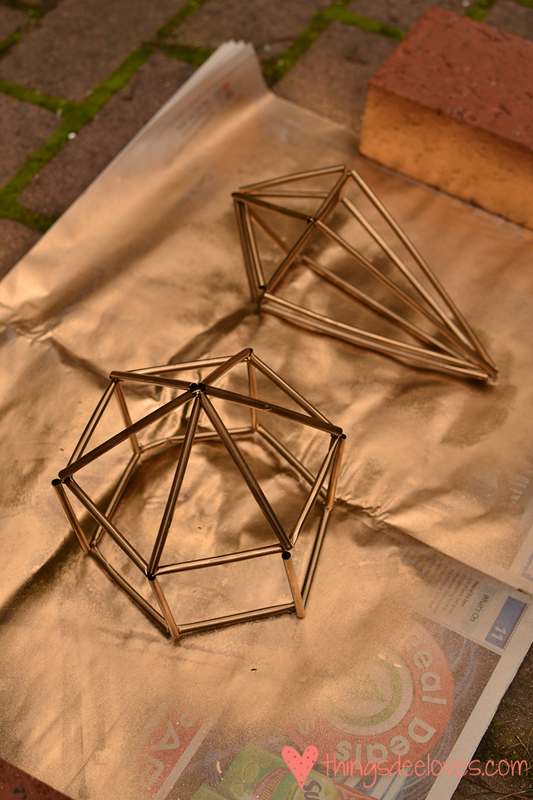 Finish off with some spray paint in the colour of your choice. With both projects you can play around with different lengths of straws to get a variety of shapes. Have fun!